What Are The Digestive Health Benefits Of Caraway? Caraway seeds are full of nutrients, which provide many health benefits for digestive disorders and other ailments. The practice of using caraway, scientifically known as Carum carvi, as a medicinal agent has been around for centuries; it has also remained unchanged. Caraway is a biennial plant native to Europe, Western Asia, and Northern Africa that comes in many forms, including caraway seeds and caraway oil. The first dated use of caraway was seen in Egypt around 1500 B.C. A character in Shakespeare’s play Henry IV utilized caraway as a means for aiding indigestion and relieving gas. The prolonged use of caraway has encouraged extensive experimental studies to validate its acclaimed therapeutic uses. Several studies have examined the use of peppermint oil in combination with caraway oil to alleviate indigestion symptoms. The term for the mixture of essential oils and herbal spices are referred to as carminatives. The University Medical Clinic in Bochum, Germany lead a study in 2000 to assess the efficacy and safety of the use of 90 mg peppermint oil and 50 mg of caraway oil for the treatment of functional dyspepsia, otherwise known as indigestion. After one month, the average intensity of pain, pressure, and fullness was reduced by about 40% for those who were administered the combination vs. the participants who had taken a placebo. The results indicated good tolerability and safety for the combination of peppermint and caraway oils for alleviation of dyspepsia symptoms. A study at the University of Tuebingen in Germany on caraway and other carminatives, found them to be efficacious in relieving symptoms of indigestion. It found that carminative agents function, in part, by reducing spasms in the digestive tract, thereby improving digestion. Irritable bowel syndrome often results in symptoms, such as increased gas, intestinal cramping, and irritation of the intestines. It has been found that caraway oil administered in combination with peppermint oil may lessen gas production, alleviate intestinal cramping, and soothe the intestinal tract. A study completed in 1996 at the University Medical Center in Germany found that a combination of both peppermint and caraway oils led to substantial reduction in irritable bowel syndrome symptoms in participants diagnosed with the condition. About 63% of patients who experience pain prior to the trial reported symptom alleviation by the end of the treatment. Pain symptoms were improved in nearly 90% of the patients in the treatment group. As caraway relieves intestinal cramping, there is potential for its use in easing symptoms of colic in infants. In addition to lessening the symptoms of these gastrointestinal ailments, caraway has been shown to have antioxidant and antimicrobial properties. There has been a traditional use of caraway as a diuretic. A study in 2007 in Fez, Morocco validated this therapeutic effect, as it was shown that caraway’s diuretic potential was significant. Urine output increased after administration of caraway during the entire time period (at all-time points) and up to 24 hours after dosage. Due to the nature of our bodies to be unique in reaction to any medicinal substance, it is important to talk to a healthcare expert before starting to use an herb like caraway. 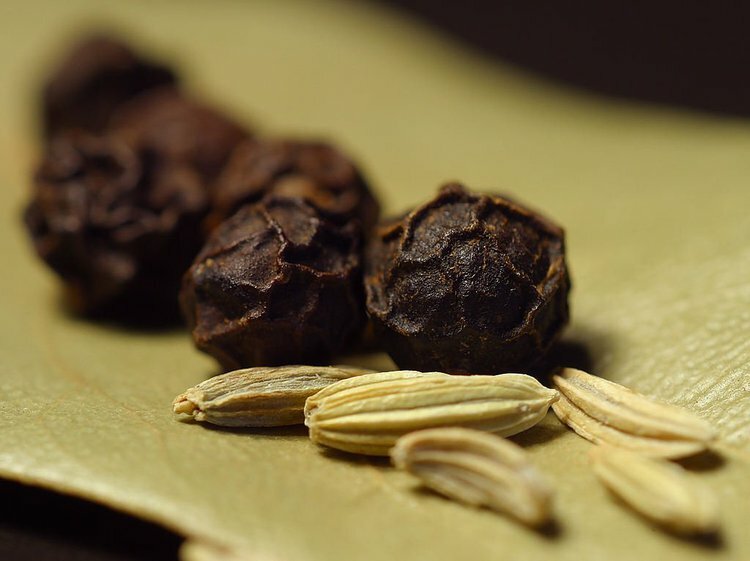 He or she can help you to decide if you would potentially benefit from caraway for the treatment of ailments, such as indigestion or irritable bowel syndrome, as well as help determine the correct dosage for your body. Further research is being conducted to validate the lesser-known benefits of using caraway in other forms, such as the seeds or oil. Its long therapeutic use, however, is strongly indicative of its continued benefit it can have on your health. May B, Kohler S, Schneider B. Efficacy and tolerability of a fixed combination of peppermint oil and caraway oil in patients suffering from functional dyspepsia. Ailment Pharmacol Ther. 2000;14:1671-1677. Forster HB, Niklas H, Lutz S. Antispasmodic Effects of Some Medicinal Plants. Planta Medica. 1980;40(12):309-319. May B, Kuntz HD, Kieser M, Kohler S. Efficacy of a fixed peppermint oil/caraway oil combination in non-ulcer dyspepsia. Arzneimittelforschung. 1996;46(12):1149-53. Lahlou S, Tahraoui A, Israili Z, Lyoussi B. Diuretic activity of the aqueous extracts of Carum carvi and Tanacetum vulgare in normal rats. J Ethnopharmacol. 2007;110(3):458-63. Johri RK. Cuminum cyminum and Carum carvi: An update. Pharmacogn Rev. 2011;5(9):63-72. Iacobellis, N. S., Lo Cantore, P., Capasso, F., & Senatore, F. (2005). Antibacterial activity of Cuminum cyminum L. and Carum carvi L. essential oils. Journal of Agricultural and Food Chemistry, 53(1), 57-61. Razzaghi-Abyaneh, M., Shams-Ghahfarokhi, M., Rezaee, M. B., Jaimand, K., Alinezhad, S., Saberi, R., & Yoshinari, T. (2009). Chemical composition and antiaflatoxigenic activity of Carum carvi L., Thymus vulgaris and Citrus aurantifolia essential oils. Food Control, 20(11), 1018-1024. Simic, A., Rančic, A., Sokovic, M. D., Ristic, M., Grujic-Jovanovic, S., Vukojevic, J., & Marin, P. D. (2008). Essential oil composition of Cymbopogon winterianus. and Carum carvi. and their antimicrobial activities.Pharmaceutical Biology, 46(6), 437-441. Samojlik, I., Lakić, N., Mimica-Dukić, N., Đaković-Švajcer, K., & Božin, B. (2010). Antioxidant and hepatoprotective potential of essential oils of coriander (Coriandrum sativum L.) and caraway (Carum carvi L.)(Apiaceae).Journal of agricultural and food chemistry, 58(15), 8848-8853.